It seems almost impossible to find a dealer that has Blackmagic Pocket 4K cameras available in stock, they fly off the shelves the moment they touch them. While the distribution struggles to keep up with the demand from the market and with the preorders that have been placed in the year that almost has gone by since the camera’s unveiling, there are some lucky filmmakers that have got their hands on it and are ready to shoot. If you’re one of them and you come from the Sony or Canon ecosystem, chances are you’ve got mostly full-frame EOS or E-Mount lenses, so entering the Micro 4/3 realm may be a little challenging. 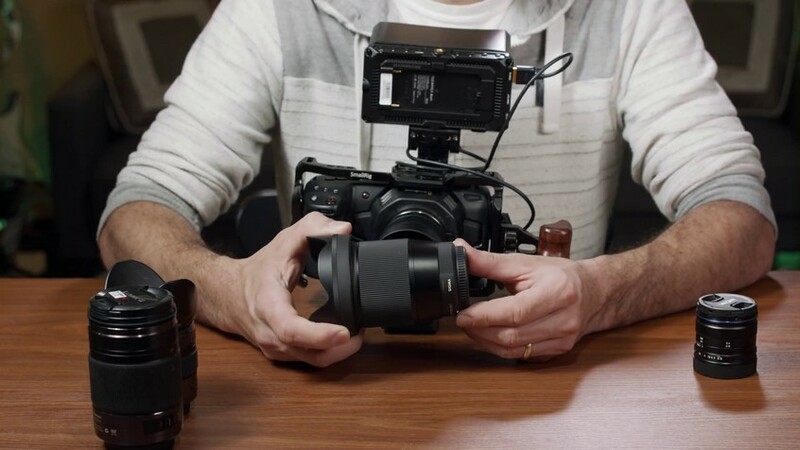 For those filmmakers, seasoned filmmaker Tom Antos has some lens recommendations that are definitely worth considering. So, the first question some may ask is quite obvious. Why would I buy a native Micro 4/3 lens? A full frame lens for one of the common mount systems is much more versatile, whereas a cine lens will have a completely different quality and feeling, all I need is a Speedbooster and I’m set to go. Well, the point is that M4/3 cameras are quite small and lightweight, which seems to be especially the case when you use them with native lenses. By the time you’ve put a Speedbooster and a cine lens, the camera has got huge. 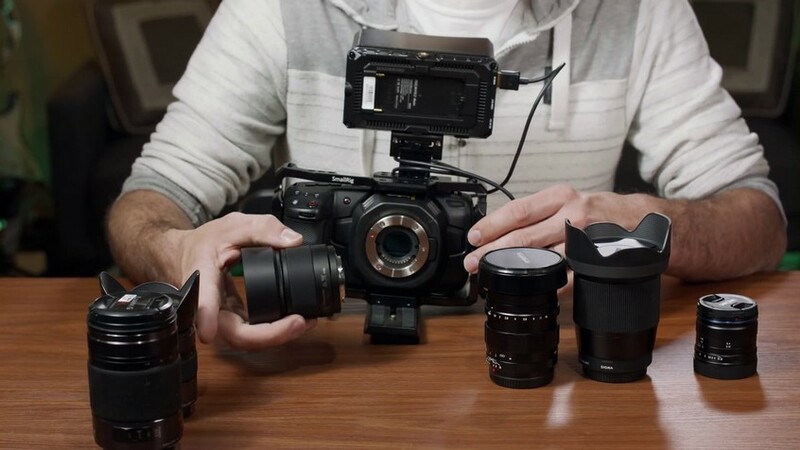 The whole rig would lose the pocket-y factor many filmmakers go after in the first place. That being said, the first offering in the batch is the Olympus 75/300 f4.8/6.7. 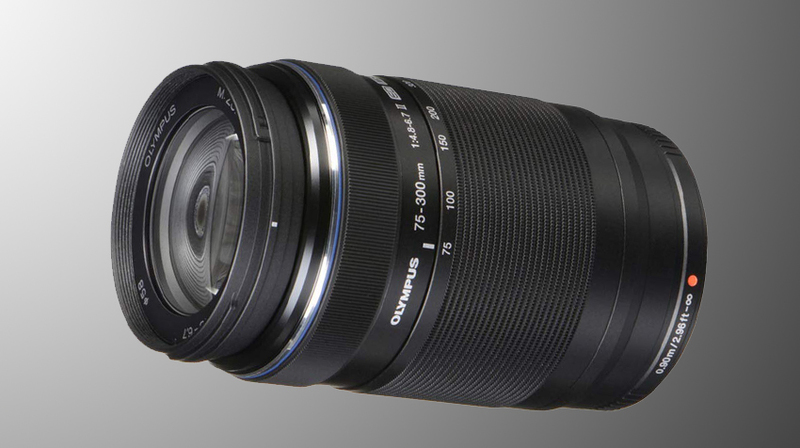 This lens has a clear vocation, and that is shooting outdoors, predominantly in daylight. The variable aperture and lack of built-in stabilization are not ideal, but the extreme zoom you get is indeed impressive. Just make sure that your camera setup uses some kind of support while shooting with this lens, especially when you need to zoom all the way in. Following up we have a couple of zoom lenses, the Lumix G Vario 35-100 f2.8 and the Lumix G Vario 12-35 f2.8. These two counterparts are quite complementary to each other, since they’ll offer you a great range in focal distance, produce nice sharp images, and seem to be a good choice for any M4/3 camera. The telephoto one has a second generation on the market, but it does not add much more than an improved stabilization. To some, this enhancement may seem worthy enough, but if you find a good deal for the first generation, go and grab it without hesitation. Next on the list is the Lumix 25 mm f1.7 which is not as well built as the previous couple, but it provides great aperture and lightweight form factor in return. The unit goes well with the previous two lenses, and we could say it makes the perfect triplet of lenses to have in your camera bag in conjunction with the Pocket 4K. With the zooms, you can cover almost every situation, but when you need that punch of light from the extra stop, you can simply pop on the 25mm instead. A lens that is quite similar but does not have the same versatility is the Voigtlander Nokton 25mm f0.95. Indeed, it may seem absurd, but, yes, it’s a less-than-one-aperture lens that comes with a couple of inconveniences. The first one is the most apparent if you put it next to the Lumix offerings. It’s bigger and heavier – it’s all metal made, and that means it’s quite sturdy since it doesn’t match well with the lightweight Pocket. Also, although impressive, the f/0.95 aperture is almost unusable. You’ll find yourself often stepping down that ring in order to achieve a correct focus. And don’t forget, it’s a fully manual lens, so no kind of electronics on board. Another wide lens that goes in the yes-but-no list is the Sigma 16mm f1.4. It’s a decent lens overall, but once you’ve got the triplet mentioned above, there’s not much value in this one, you would be better set without it. As always, the situation changes if you find a nice deal or if you already own the lens. The final contender is the Laowa 7.5mm f2. Yes, you’ve read that number right: 7.5mm, that’s a crazy wide lens. It has an unbelievable low distortion for the focal distances we’re talking here and the field of view is super wide. But that’s the point, how often will you use such an extreme lens? 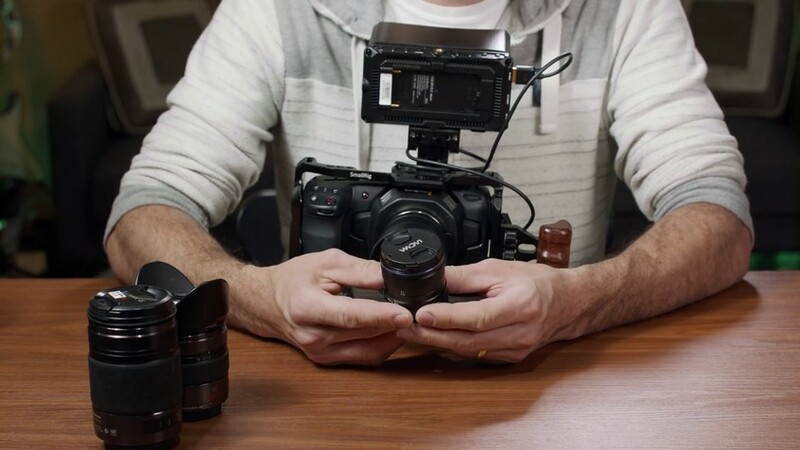 It calls for a very specific look, and it may make sense if you work in some particular niches, music videos, architectural videos, or any time you need to cover an extremely wide angle on the fly. So, as stated before, there seem to be a golden combination that should be the perfect swiss knife for all those starting out with M4/3 camera, be it a Blackmagic Pocket 4K or any other one. 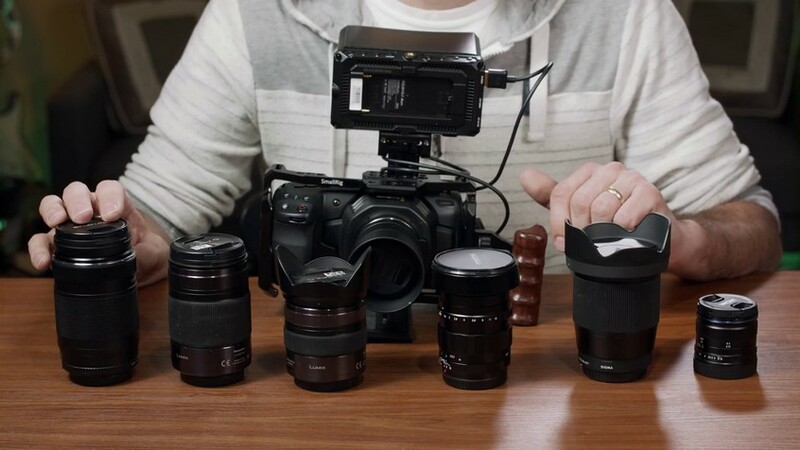 Clearly, there are many different options available out there, but if you really need a solid set of native Micro 4/3 lenses for your BMPCC 4K, Tom Antos’ list could give you some excellent ideas right off the bat.